5060D Kinsmart - 1962 Volkswagen Classic Bus. 1:32 scale diecast collectible model car. 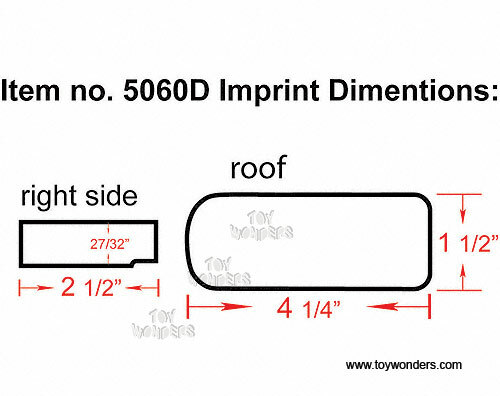 This 1962 VW Bus is a 5.25" long diecast metal classic with openable passenger door & rear hatch. This Volkswagon also comes with pullback motor action . 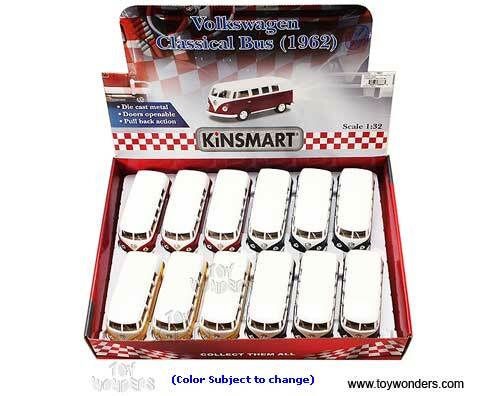 This 62 VW Bus is manufactured by Kinsmart/ Kintoy. 12 pcs per display box in assorted colors. 72 pcs per inner box. 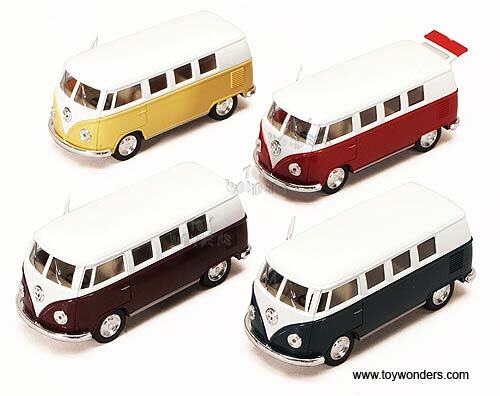 To see more Volkswagen Busses die-cast collector models (click here).